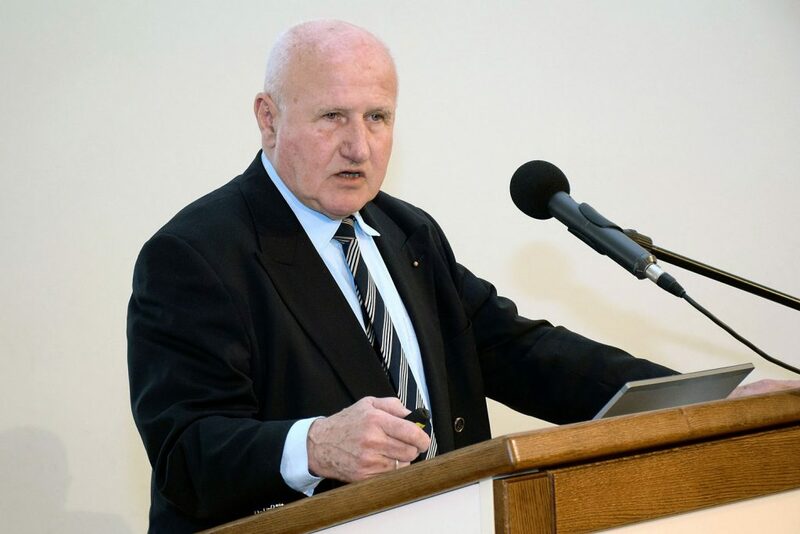 Professor emeritus of the University of Pécs Miklós Kellermayer (pictured) considers every Muslim a potential terrorist and accuses fellow professor Tamás Mellár of betraying Christian values by running against Fidesz in the general election. Conservative print and online daily Magyar Nemzet contacted Kellermayer after the professor published an impassioned open letter to Mellár on the Baranya county news site bama.hu. “I cannot even imagine how you look into the eyes of your clean-spirited students.” The cell researcher professor likened Europe’s current state to the Habsburg-Ottoman wars of the 16th century, claiming that it is imperative to defend Christian values, just like the “fortress soldiers” defended the Hungarian Kingdom’s southern border in the Ottoman era. “Based on your life so far, your previous speeches, your Christian statements, and also based on the fact that you are the professor at the same university I am, I cannot deem your current words and actions anything other than scandalous, for which you will have to stand trial at another place according to our mutual belief,” Kellermayer concluded his open letter. The professor told Magyar Nemzet that one just has to read certain parts of the Quoran amounting to hate-speech to understand that every Muslim is a potential terrorist. “Those who grow up with this teaching will carry hate in their hearts,” Kellermayer said. In his opinion Europe is in crisis regardless of Muslim immigration. Kellermayer listed as the biggest sins of Europe the high number of abortions in favor of pursuing careers and the blossoming weapons industry that profits from selling weapons to future terrorists. Kellermayer also shared his thought about global inequality. According to the professor emeritus, instead of people emigrating to countries “where they don’t belong”, mankind should make every possible piece of land fertile, even the Sahara. Kellermayer believes that every person on Earth should be given an equal piece of land. A former Fidesz support, Mellár, an economist, worked as head of research at the Fidesz-tied think-tank Századvég between 2010 and 2011. In 2014, Mellár told the now defunct left-wing daily Népszabadság he had quit Századvég “because it became apparent to me that the whole think-tank is merely a money-laundering factory.” Mellár was one of dozens of academics who resigned from the Hungarian Academy of Sciences in 2016 in protest of anti-democratic steps taken by the Orbán regime. In October 2017 Mellár announced that he would run as the center-right Movement For a Modern Hungary’s (MOMA) candidate in the first electoral district of Baranya county in the 2018 election. Later, the Hungarian Socialist Party confirmed it would back Mellár’s candidacy.